As of March 4, Publishers, Agents & Films has gone through another transition, since it is now back with the original CEO and Founder, Gini Graham Scott. As many old timers are aware, the company was founded in 2003 as Publishers and Agents; was sold to new owners in 2008, who decided to step out of the business in 2013. Briefly, Gini Graham Scott continued the company in San Francisco with a new partner based in Michigan as the Publishing Connection, who subsequently left the Bay Area to return to Michigan in July 2014. Then, soon after moving to Lafayette, Gini Graham Scott took over the company again and called it Publishers, Agents and Films, to reflect the company’s success in helping screenwriters and filmmakers make contacts in the industry. Then, since she was primarily involved in writing and publishing books for clients and herself, she sold the business again in November 2016 to new owners. Several months later, they changed the name to The NudgeLine, and now the company is going back to its previous name — Publishers, Agents & Films — though with an “&” instead of an “and,” since everything is so much shorter these days. Now that Scott has the company back again — like a dog that keeps coming home, she plans to grow it to achieve its original vision of being the preeminent email connection company that helps individuals in a variety of fields make connections with contacts in a target industry. These fields will not only include publishing and the film industry, but other connections are envisioned, such as connecting entrepreneurs to venture capitalists and angel investors, connecting inventors to manufacturers, connecting game and toy inventors to the toy industry, and connecting songwriters to music publishers, agents and managers, and record labels. Also, a key to this vision is going global, so that these connections can be made in multiple languages for individuals in countries around the world. For now, the focus is on the publishing and film industries. But gradually we plan to add on other industries and global markets. And if you have your own database of contacts, we are able to mail to them, too. GINI GRAHAM SCOTT, Ph.D., J.D., is a nationally known writer, consultant, speaker, and seminar leader, specializing in business and work relationships, professional and personal development, social trends, and popular culture. 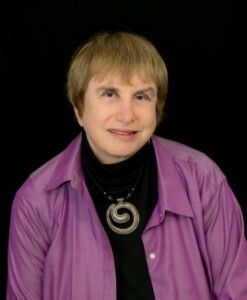 She has published over 50 books with major publishers. She has worked with dozens of clients on memoirs, self-help, popular business books, and film scripts. Writing samples are at ginigrahamscott.com and changemakerspublishingandwriting.com. She is the founder of Changemakers Publishing, featuring books on work, business, psychology, social trends, and self-help. It has published over 150 print, e-books, and audiobooks. She has licensed several dozen books for foreign sales, including the UK, Russia, Korea, Spain, and Japan. Scott is also active in a number of community and business groups, including the Lafayette, Pleasant Hill, and Danville Chambers of Commerce. She is a graduate of the prestigious Leadership Contra Costa program, is a member of two B2B groups in Danville and Walnut Creek, and a BNI member. She is the organizer of six Meetup groups in the film and publishing industries with over 6000 members in Los Angeles and the San Francisco Bay Area. She does workshops and seminars on the topics of her books. She received her Ph.D. from the University of California, Berkeley, and her J.D. from the University of San Francisco Law School. She has received several MAs at Cal State University, East Bay. Jana Collins is the CEO and Head Publicist for a full service Public Relations and Product Placement Company incorporated in California in 1985. She has worked for A-List celebrities and placed clients in almost every nationally distributed publication, major TV network, and top-rated cable stations. She has assisted in gaining international recognition for multi-million dollar corporations, cutting-edge tech companies and numerous Grammy Award winning musicians and recording artists. She also handles full service social media marketing and product placement services.